In order to use reward points, you will need to apply them during the payment sequence. 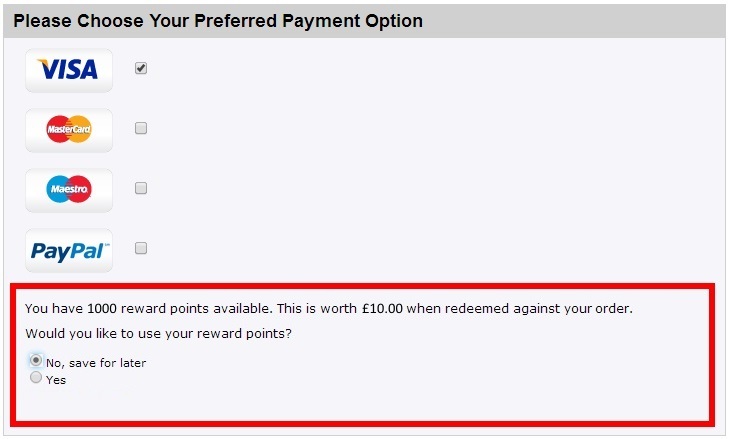 Once you reach the 'Preferred Payment Option' section, there will be a box at the bottom asking if you would like to use any points on your order as shown in the image below. When you select 'Yes', a new area will shown below with a box to add in a custom number of points. 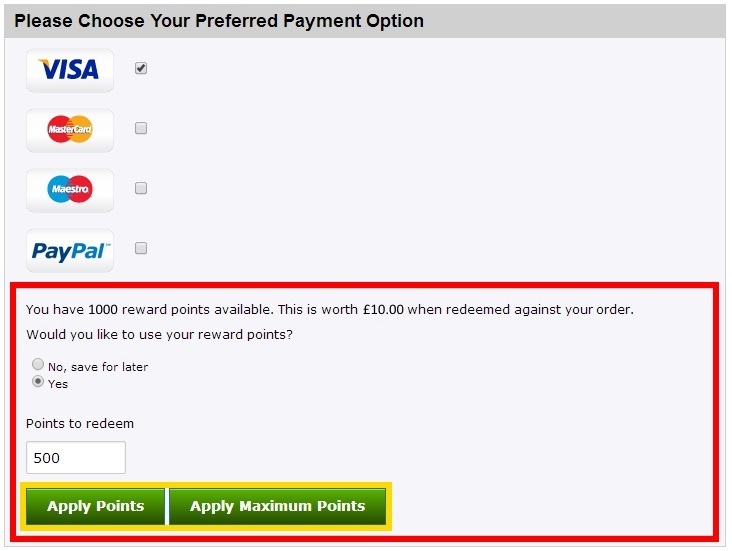 You may type an amount you wish to redeem within your allowance or you can click on the 'Apply Maximum Points' button shown in yellow below if you wish to use them all at once. If you have chosen to enter in a specific amount, please click 'Apply' (shown in yellow below) so that the value of your order will adjust to reflect the discount added. If you are having trouble using your reward points, please create a new ticket and a dedicated member of our team will be assist you further you within two working days. For more information on Reward Points, please click here.